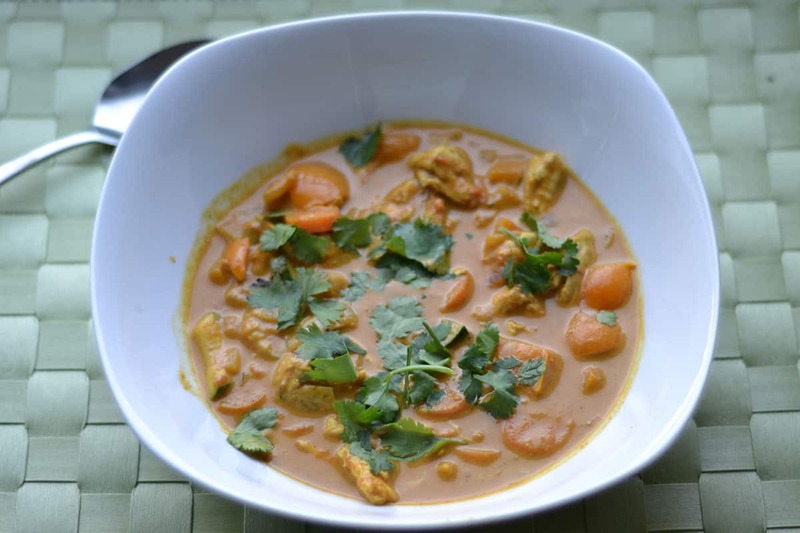 Chicken curry is a favorite around here, and a big hit with the kids! 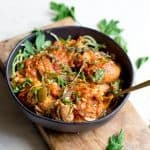 The best part is that this can be made in under 30 minutes which makes it a perfect weeknight meal. Don’t be afraid to try it with your family. Although there is a ton of flavor, it is not spicy! I like to pack my curry with vegetables that the kids love: carrots, zucchini, bell pepper, and onions. 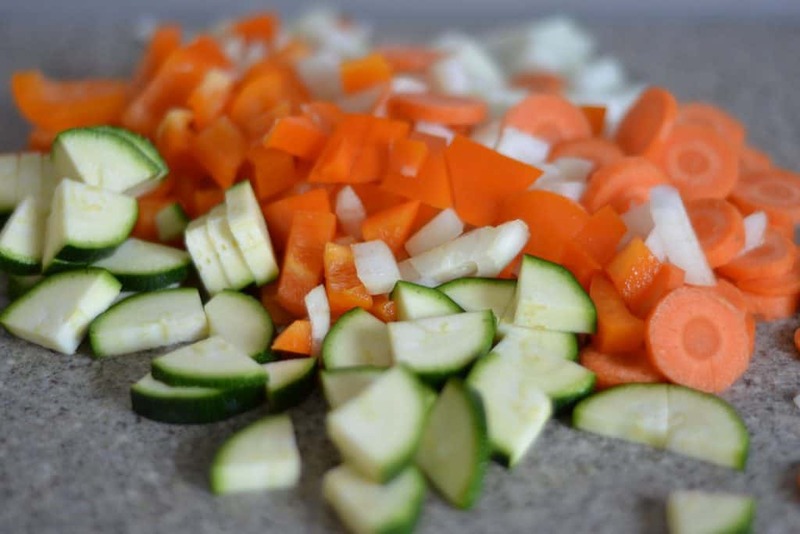 This is easily adaptable with any other veggies. 1. 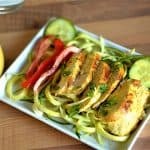 It can be made in even less than 20 minutes if you have precooked chicken. 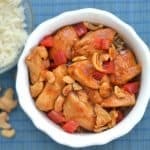 Some ways I cut out time to prepare this meal is to cook my chicken on a different day. 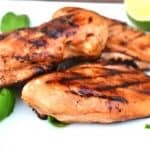 For example, if I fired up the grill earlier in the week, I will gladly throw on a few extra chicken breasts to be refrigerated and later added to this meal. 2. 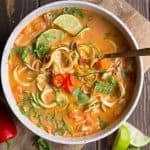 This recipe can be made into a soup by adding broth. Done. I like mine without rice or any starches. 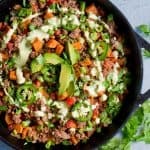 I serve this to my family with my Coconut lime Quinoa. 3. 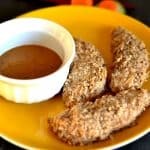 This recipe is both Paleo and Vegan adaptable. 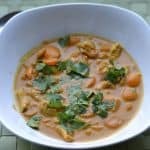 Substitute chickpeas for chicken and use as a soup for my Paleo friends. Heat up a large wok or saucepan on med heat. Dice up the chicken and vegetables (if using raw chicken here place it in the pan or move on to the vegetables if your chicken is already cooked). Cook the chicken until nicely browned and cooked through, about 5-8 minutes. Add the ginger, onion, carrots, pepper, and zucchini to the hot pan. Cook for 5-7 minutes until veggies are softened and onion turns clear. Add the Diced tomatoes and curry paste or powder. Mix thoroughly and simmer for 1 minute. Add coconut milk and chicken. Simmer for 5 more minutes over medium heat. Serve as a soup or with rice or quinoa.